The estate of Elvaston was owned by Sir Walter Blount in 1465 with records detailing ownership changing hands right back to the 11th century. In the 16th century, Elvaston came into the ownership of Sir Michael Stanhope and it remained in the family until 1939. The house was built in 1633 and has undergone several renovations and remodelling in the following centuries. In 1742, Charles Stanhope commissioned the English architect James Wyatt to remodel the house. The designs of Wyatt were executed by Robert Walker between 1815 and 1829 with a new great hall being added to the west and a new wing added to the north-west. 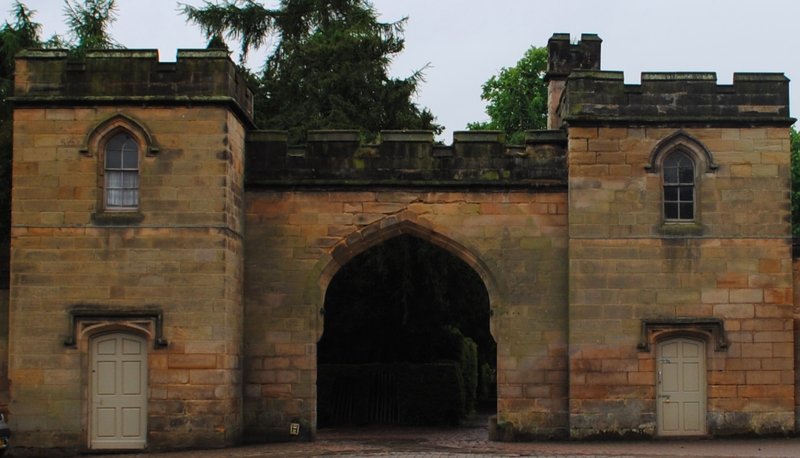 The principle entrance (above) features two lodges with a crenellated wall and central arch. This entrance dates to the early 19th century and is Grade II Listed. 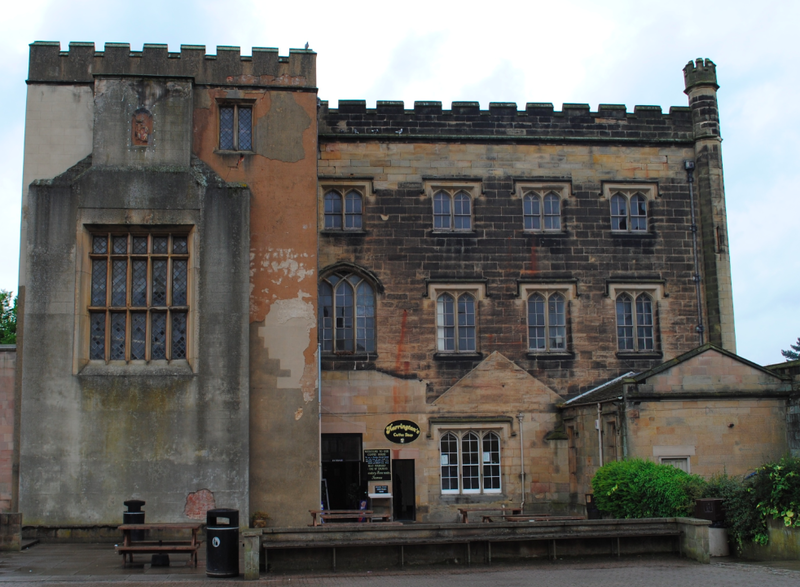 The Grade II* building is constructed of ashlar with stone dressings and details mullioned windows, embattled parapets and stepped angle buttresses. 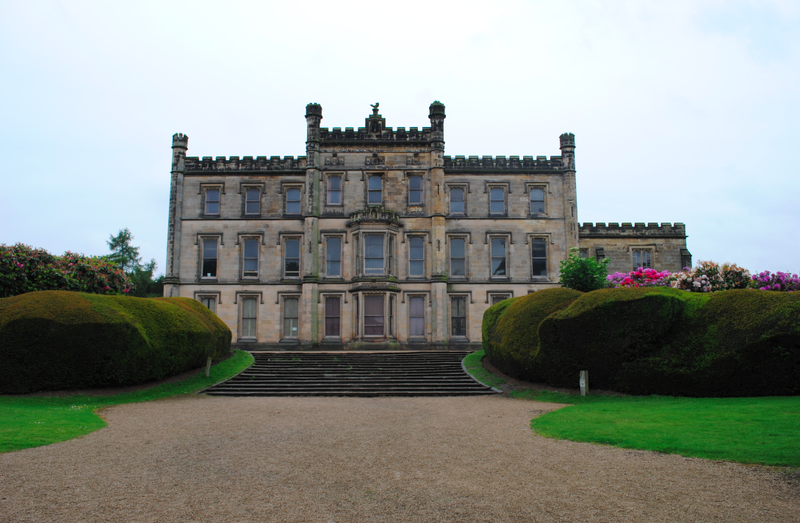 In 1969, Derbyshire County Council acquired Elvaston Castle and opened the estate as a Country Park in 1970.